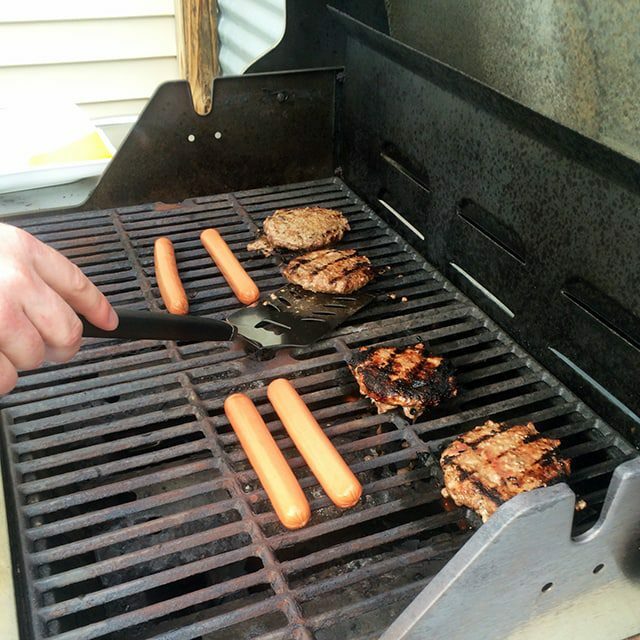 We’ve had quite a few barbecues and weenie roasts this spring and summer already, but it wasn’t until this week that we finally fired up our own grill to cookout at home! When we visited my Dad a few weeks ago, he shared his current burger-making secret with me (I say current because he’s always trying new things), and the burgers were so tasty I couldn’t wait to try them again. It gives the burgers a nice flavorful crust without being overpowering! 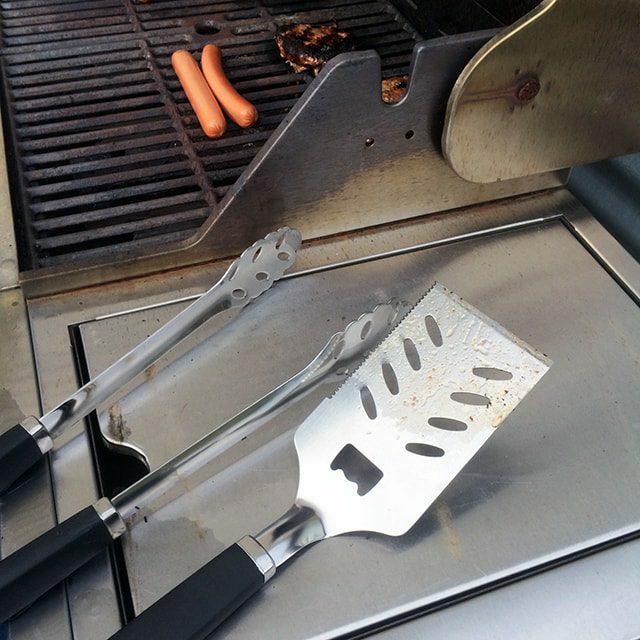 In addition to the grills themselves, Kenmore also offers great grilling accessories like the set pictured above, tips on grilling and outdoor entertaining and even summer grilling cookbooks! 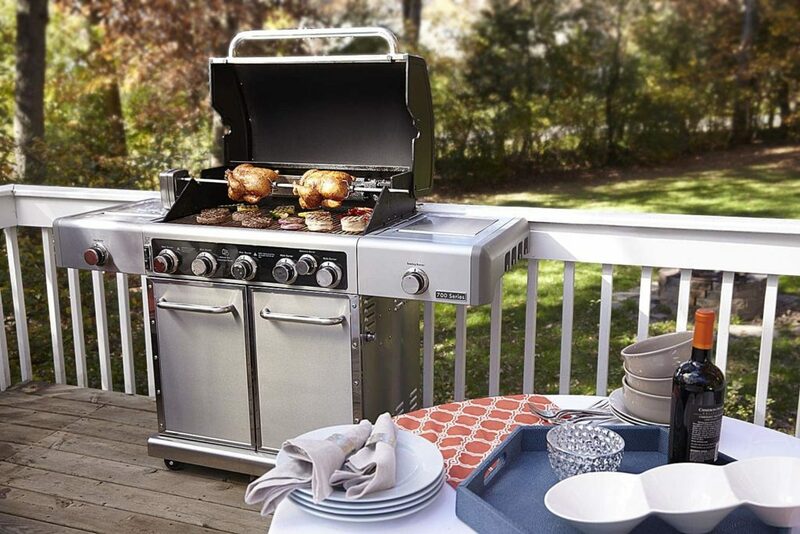 Whether you’re looking for an exciting Father’s Day gift or just gearing up for summer, now through July 4th, you’ll find great offers on Kenmore grills at kenmore.com/grills! My dad is currently in the process of adding an outdoor kitchen to his pool/patio area, and I’m thinking the Kenmore 5 Burner Island Gas Grill with Refrigerator should be on his list of upgrades! 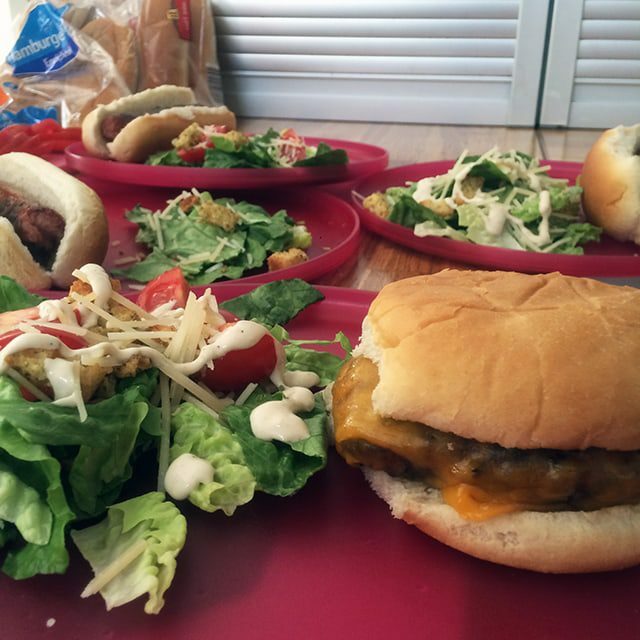 What is your favorite way to prepare burgers?